But it’s not going to take orders for you, update inventory, or provide updates on shipping. 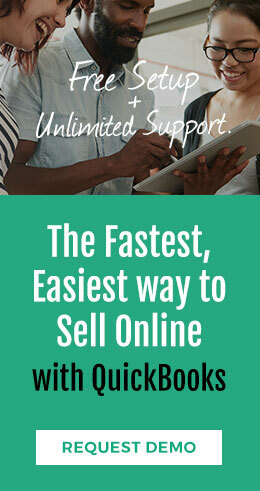 For that, you need a system that’s built to integrate QuickBooks into a larger order-processing solution. If you want improved order processing, you must start with the orders themselves. Though we live in the modern era, many manufacturers and distributors are still stuck in the late 90s. Orders are still being made by phone, email, or fax. While this might be fine for a small business with a limited clientele, for any B2B business with a serious client list, this becomes burdensome and risky - fast. The problem is simple. When an order must be transferred manually from the intake point to QuickBooks (and/or to fulfillment, or to anyone else who needs it, really), you’re not just losing time that could be made up through automation: you’re introducing the possibility of error. Machines have introduced incredible complexity into our lives, but they’ve also introduced much-needed simplicity. When software is integrated properly with QuickBooks to automate certain portions of order processing, the chance for error is reduced. When the manual transfer of information (even if “manual” simply means sending an order via email) is eliminated and that information flows from the order stage to wherever it needs to go automatically, the chance of error is reduced. When you get everything connected and flowing smoothly with minimal human interference – the chance of human error is, naturally, reduced. But for that to work properly for your customers, to really improve your order processing from their standpoint, you need to back all the way up to the order itself — or rather, how you’re taking the order. Rather than taking orders through a variety of channels, wouldn’t it be better to take orders through dedicated portals that are connected to both QuickBooks and to fulfillment? Now that doesn’t necessarily mean your customers are locked out of traditional sales methods, but it does mean you have a single place where (ideally) the customer or sales rep can enter their orders, a place where you can enter orders as well if necessary, a place that then automatically sends that order along the pipeline and prevents the introduction of error, an all-too-common occurrence when orders are transferred manually. A solid portal is also going to make the ordering process for your B2B customers simpler and more straightforward. Rather than having to explain all the options over the phone or having to email a list of options (along with corresponding inventory) every time a customer is ready to make a new order (a time-consuming process, especially as product availability and inventory levels shift throughout the year), a dedicated portal stays up-to-date with changes in inventory and availability. This means your customers come to you with fewer questions, and may even have no questions at all — they can simply see what’s available and make the order through their dedicated portal (customized specifically to them and their needs) without ever bothering you, and the same goes for your sales reps. This improves order processing by a high degree. If your orders are coming through quickly, accurately, and with no room for mistakes, the chance of a hiccup later in the process is greatly reduced. Getting orders made and then sent to the right parties is only one part of the process — now you must get that order fulfilled, and make sure this is all tracked and accounted for, that all the proper documents are produced and distributed to those who need them, and that customers and other interested parties are kept up to date about the status of orders. Again, automation is your friend. Most of the bottlenecks that you’ve observed in your own order processing probably come from the movement of an order from one point in the supply chain to another. If you have the proper software in place, something that’s integrating not only with your ecommerce system for taking B2B orders, but that’s also integrating with QuickBooks and with the various pieces of software you’re utilizing for fulfillment, then automation becomes a simple matter. That means documents being auto-generated, inventory levels being automatically updated, key checkpoints in the status of an order being automatically updated for both you and your customer, and data flowing back and forth throughout your various systems without the worry that someone added or subtracted a zero in an awkward place. 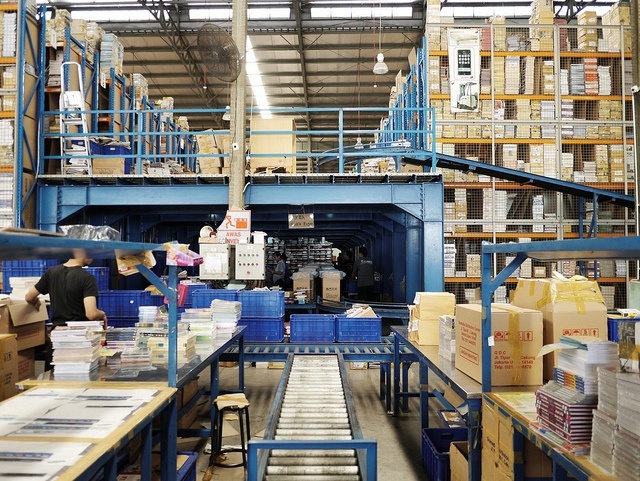 Simply put, that’s how you improve order processing for your B2B business. To see just how efficient your manufacturing, distribution, wholesale, or importing business could be, check out Now Commerce in action. See how easily your customers and sales reps can make orders (and how easily those orders will get pushed down the pipeline).